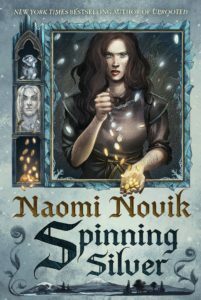 Spinning Silver by Naomi Novik has a publication date of July 10, 2018! For most of us, that feels like a lifetime away. But our good friends over on The Verge have revealed the cover in all of its beauty along with an exclusive excerpt from the new book! A fresh and imaginative retelling of the Rumpelstiltskin fairytale from the bestselling author of Uprooted, called “very enjoyable fantasy with the air of a modern classic” by The New York Times Book Review. 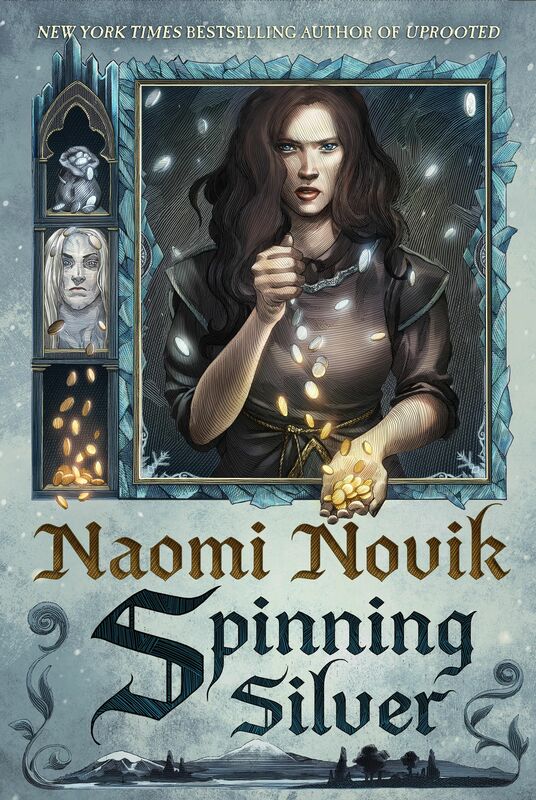 Naomi Novik once again creates a wonderfully rich, multilayered fantasy world that readers will want to return to again and again. If you’ve been wanting new fairy tale writing from Naomi since you read Uprooted, you are guaranteed to love this!